The next set of colors to go on sale will be on sale May 22. 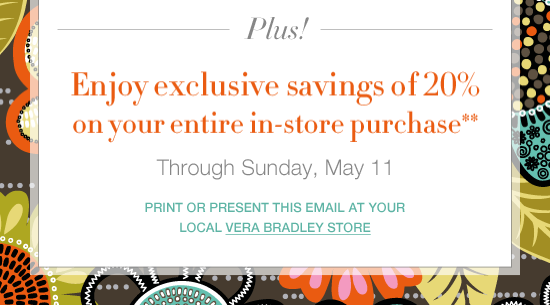 Vera Bradley is having a Graduation Sale! Lots of great gifts for grads available! Plus free shipping on orders over $75! Remember to use Ebates when you are shopping online! 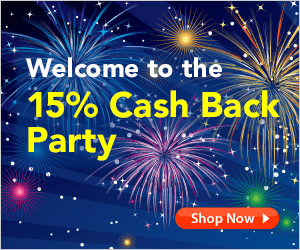 Ebates is celebrating their 15th Birthday with lots of online stores giving 15% back on online purchases!! 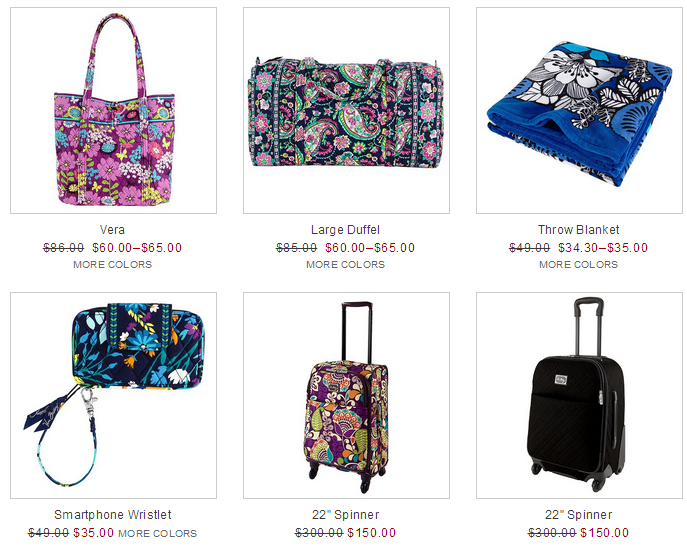 This includes Ebags that has lots of Vera Bradley to pick from! 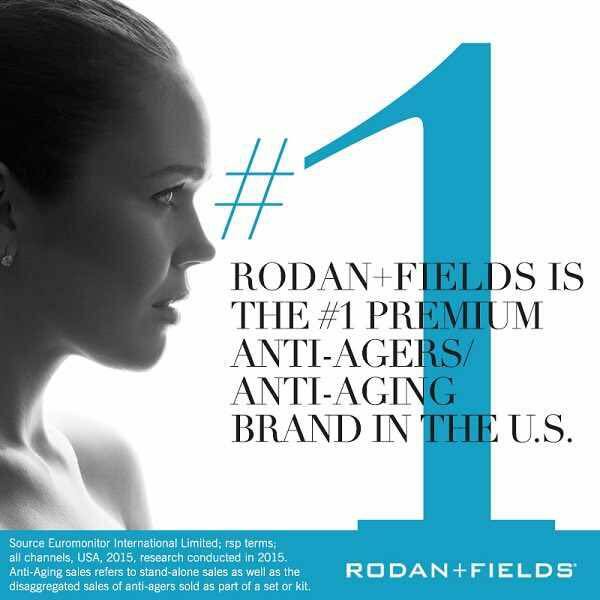 Sign up today and get a $10 gift card! 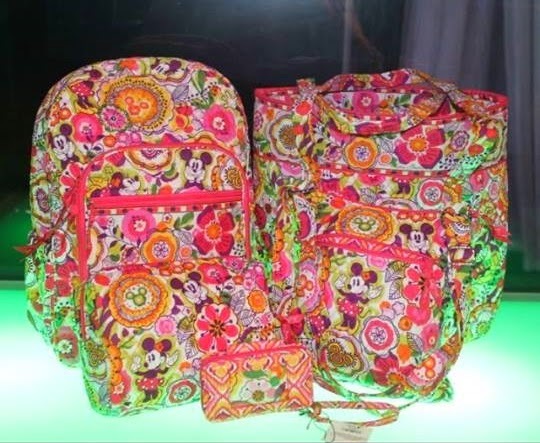 I loved the photos and layouts in the latest Vera Bradley catalog that received! I think my favorite is the cake decorated with jewelry! More photos tomorrow, there were too many to post today. 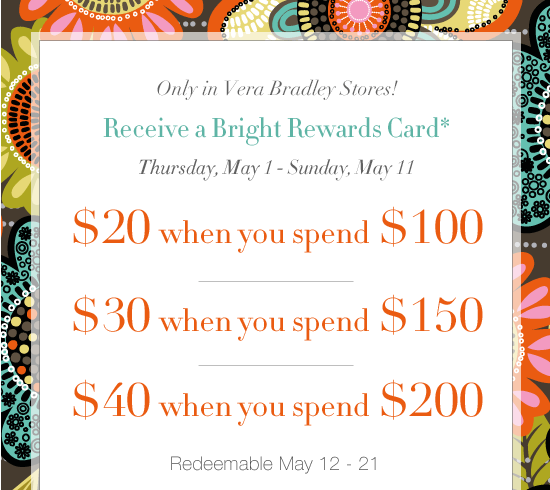 If you go see Mom's Day Out (releases May 9) keep an eye out for all of the Vera Bradley in it! You can even see a few pieces in the trailer! Like this Lilli Bell bag, a Marina Paisley blanket and wallet, and a Plum Crazy bag! 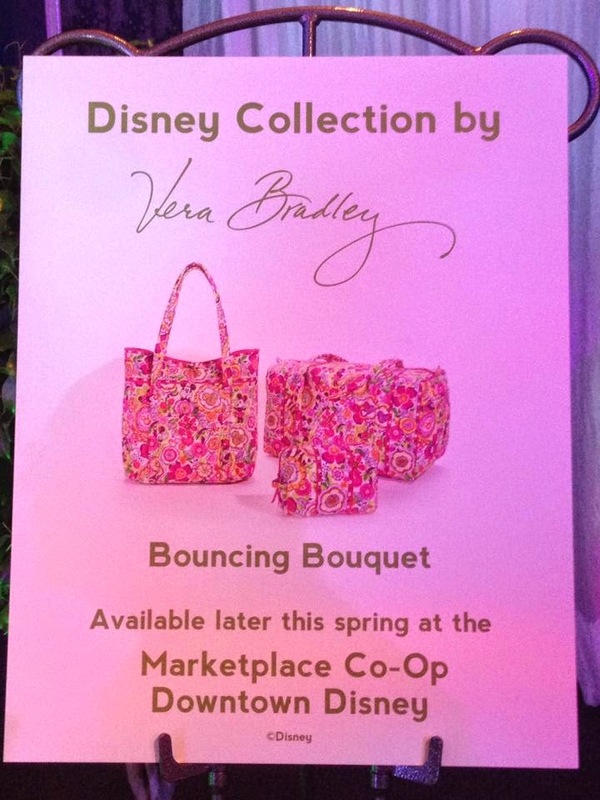 OhMyVera reader Lori was lucky enough to attend the Vera Bradley event at Disney World and preview the new Disney color: Bouncing Bouquet which is a Disney version of Clementine. Thank you so much for sharing your photos Lori! 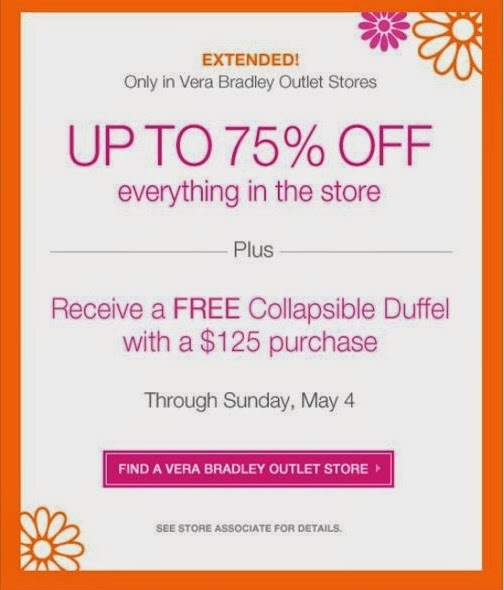 Vera Bradley has some great deals for Mother's Day. If you are shopping online, remember to use Ebates to get cash back! I can't get this photo to turn!